Li Wo had been built in 1938 for running a passenger service on the River Yangtse. In 1940, she was requisitioned and commissioned into the Royal Navy at Singapore as HMS Li Wo. 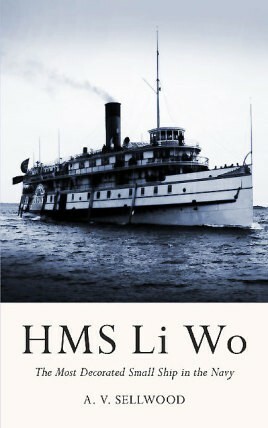 Shortly before the surrender of Singapore in February 1942, HMS Li Wo was ordered to head for Batavia, now Jakarta in Indonesia. After coming under air attack, the Li Wo came across a Japanese convoy escorted by a squadron of warships. Armed with one 4-inch gun (with thirteen shells and three practice rounds) and two Lewis guns, the Li Wo attacked. In this book, A V Sellwood has pieced together the almost unbelievable story of the most decorated small ship in the Royal Navy, a story which might otherwise have remained lost in the Admiralty archives.